Born in Hollywood, Gregor DuBuclet first learned the art of conducting from Maestor Charles Bruch at the Pierre Monteux Conducting School (USA). This was followed by a one-year postgraduate studies in composition and conducting at the "Mozarteum" in Salzburg and an orchestral diploma in instrumental training in viola at the Hochschule für Musik in Frankfurt / Main. During this time, Gregor DuBuclet has already been appointed Music Director of the "Lokes Region Symphony Orchestra" in New Hampshire State. 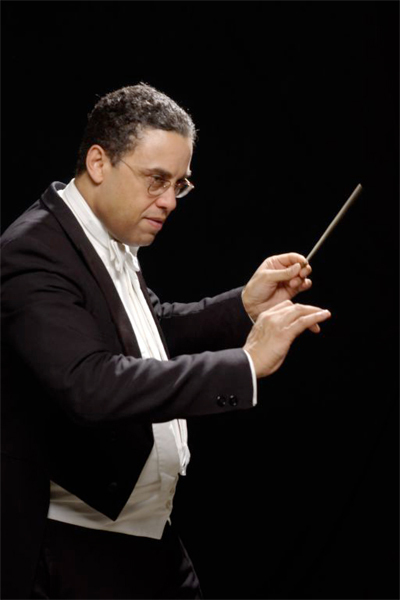 As a conductor, today he can look back on worldwide obligations. Among others, he directed the Philharmonic State Orchestra Frankfurt / Oder, the State Opera Perm (Russia), "Orfeo" with the Symphony Orchestra Bangkok, the Venus Orchestra, the State Orchestra Teplice (Zech Republik) and the Baroque Orchestra "Concerto Brandenburg" (Berlin). Since Gregor DuBuclet is also at home in the international jazz business (Jazz Festival Berlin, Paris, Brasilia, Lille, Perm, etc. ), symphonic jazz (Gershwin, Weill, Milhaud, Bernstein) has a special meaning for him. DuBuclet has also gained expertise in the field of classical / rococo with his main instrument Viola D`Amore (Solist International Festival San Sebastian (Spain), Göttingen Handel Festival, Drottningholm Festival, Edinburgh Festival, etc.). He has been a guest lecturer for historical performances at the Catalan "Escola Superior de Música" in Barcelona, the Conservatory of Music in Damascus and at the Conservatory of Music in Bangkok. He is First Kapellmeister with the New Symphony Orchestra Berlin. For years he has been a conductor and toured opera and musical STARS such as Anna-Maria Kaufmann and Ethan Freeman, with whom he recorded the O2 arena in Berlin as well as well-known theaters such as the "Frankfurter Oper" on concert tours. In addition, he tours to Russia with his solo program "Evergreens" as a singer and entertainer and staged an annual operetta revue in various cities in Russia.